The Casio WSD-F10 Smartwatch just got released in the USA. 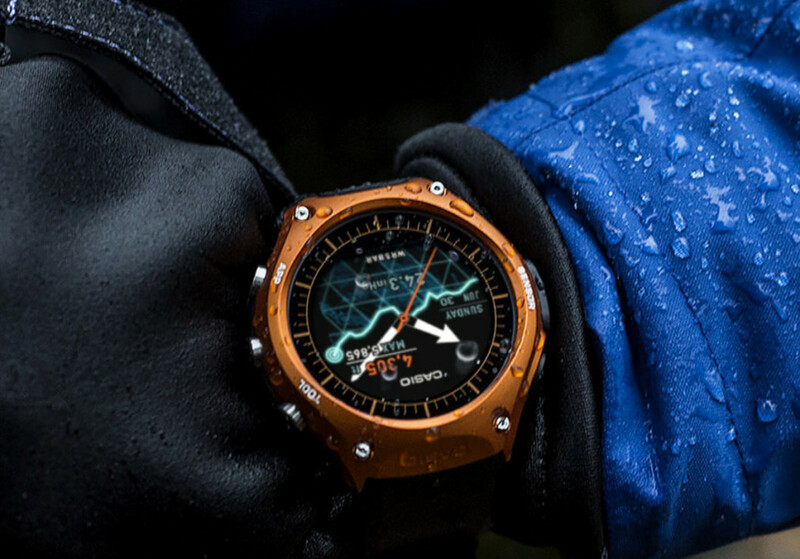 Unfortunately, like with most new tech products, this outdoor sports watch with impressive battery life will only be in available for purchase in America initially. Not to worry though if you live outside of the USA. There's still a way to buy this tough Android Wear device with features to withstand any activity before it's officially available in your country. The smart watch for adventurers is here! The Casio WSD-F10 Smartwatch combines very useful and practical applications. Whether you're trekking, cycling, or fishing, you are able to track things like altitude, tide graphs, sunrise/sunset times, and even atmospheric pressure measurement. These real-time notifications as well as timely reminders are vital when you're preparing for or right in the middle of an outdoor activity. 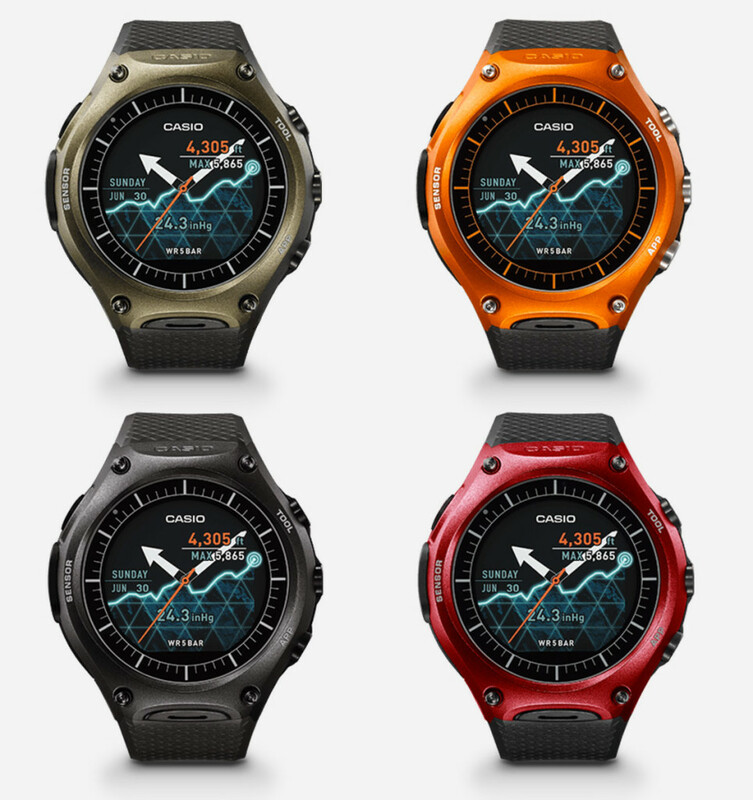 The Casio WSD-F10 Smartwatch comes in multiple colors as well. From orange to black to green to red, there is a hue for every personality! With the added metallic touch, this smart watch becomes a stylish and sleek accessory to outdoor-oriented activities. There are also preset outdoor apps on the Casio smart watch like ViewRanger, Runkeeper, and MyRadar so you don't have to worry about downloading them. The Casio WSD-F10 Smartwatch is ready for anywhere you want to go to! This smart watch is one of the toughest wearables in the market. It is water-resistant up to 50 meters, military standard compliant, and has a dual-layer display structure. It's also the first smart watch with a built-in microphone for maximum interaction. 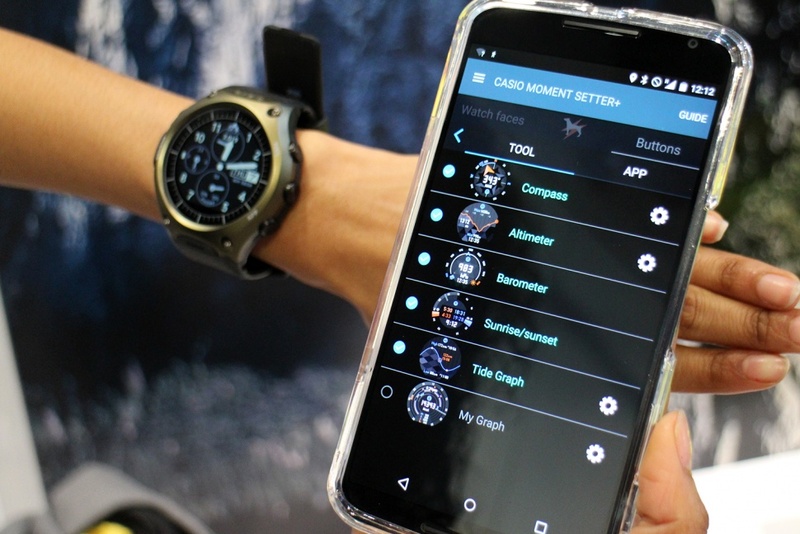 Easily connect the Casio smart watch to your phone with the product's app to get the devices in communication. Big Apple Buddy, your personal shopper, is based in the USA so we can help you buy the Casio WSD-F10 Smartwatch from the official Casio  store and deliver it to you in Australia, Austria, Azerbaijan, Bahrain, Belgium, British Virgin Islands, Brunei, Bulgaria, Canada, Chile, Costa Rica, Croatia, Czech Republic, Denmark, Estonia, Fiji, Finland, France, French Polynesia, Germany, Gibraltar, Greece, Greenland, Hong Kong, Hungary, Iceland, Indonesia, Ireland, Israel, Italy, Japan, Jordan, Kuwait, Latvia, Liechtenstein, Lithuania, Luxembourg, Macau, Malaysia, Maldives, Malta, Marshall Islands, Mauritius, Monaco, the Netherlands, Netherland Antilles, New Zealand, Norway, Oman, Poland, Qatar, Romania, San Marino, Saudi Arabia, Serbia and Montenegro, Seychelles, Singapore, Slovak Republic, Slovenia, Spain, South Africa, St. Lucia, Sweden, Switzerland, Taiwan, Thailand, the UAE, the UK, Vatican City, and Vietnam. If you would like to buy the Casio WSD-F10 Smartwatch, simply get in touch with us by filling out the form below. We'll get back to you with a free shipping quote within 24 hours!